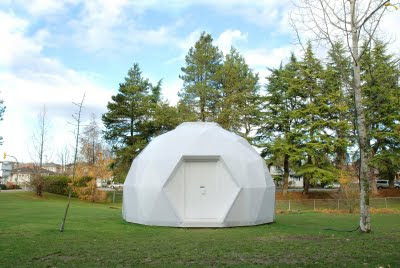 holly ward has built this near perfect dome on the grounds of langara college as part of her artist-in-residency. the pavilion will have its grand opening on january 14th, and play host to a variety of community based events. i'm quite intrigued. and congratulations on your new digs. i'm sure it will be full of magic quite soon, and i can't wait to see pics! perhaps tomorrow i will share some of my own, including the strange chandelier that badly needs replacing in our dining room. it has great potential, just not in my house.